These are fabrication pictures. I was lining parts up so if it looks like there are some gaps thats why...its alot tighter now that its finished. I will start with the grill block. I know that many of you use styrofoam blocks, or tape or coroplast. 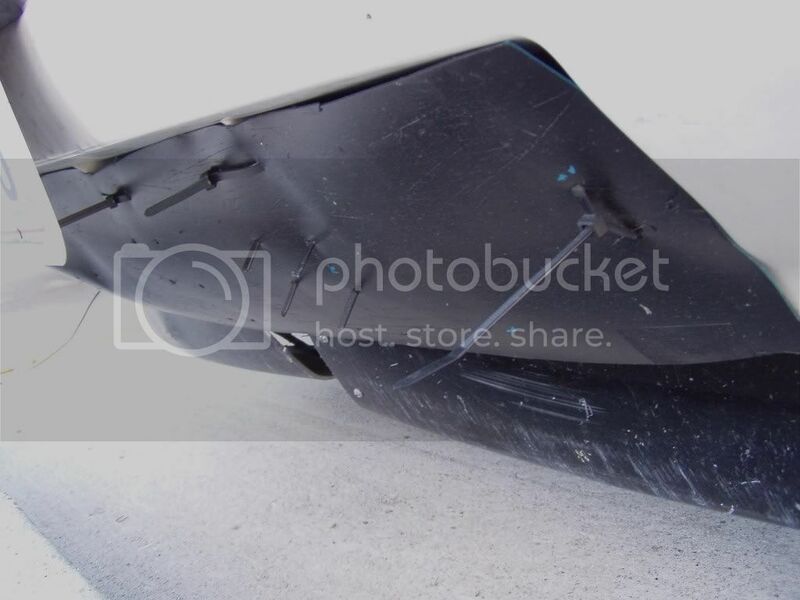 I used a cheap plastic roll up sled that was just hanging out in the garage. I cut it to size, then I drilled a bunch of mounting holes in it. Then I painted it semigloss black. I made one for the upper grill but the car overheats with that in place. So the upper grill is open untill winter. I will try to make a grill with a trap door for the upper portion over the winter. 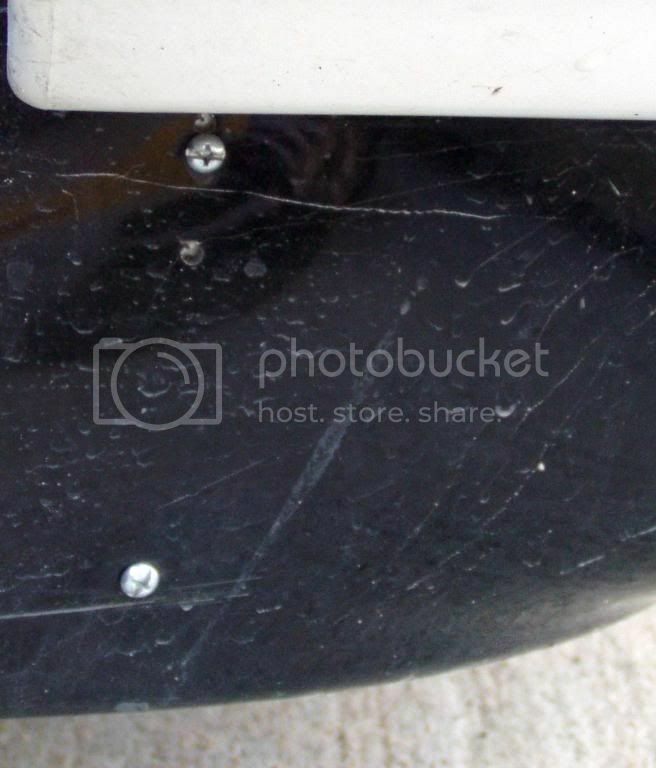 In some of the air dam fabrication pictures you can see the lower bumper opening. I ran the zip ties around the slatts. It stays in place and does not move up, down or side to side. 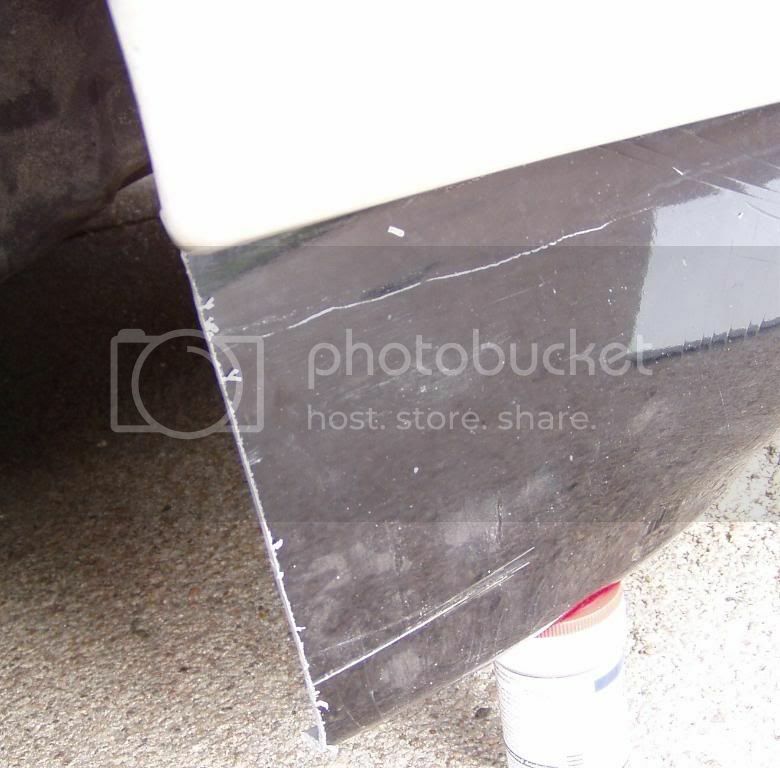 For the air dam, I had a cracked Nissan 200SX SE-R front bumper in the garage. 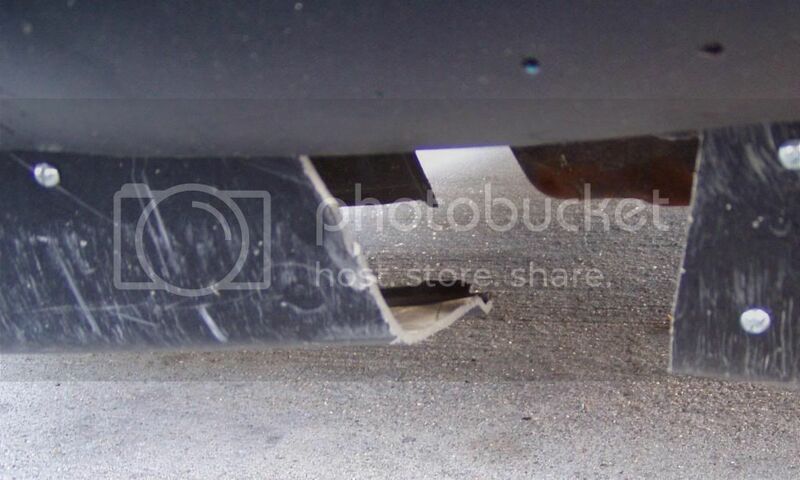 The bottom part of the SE-R bumper was shattered. 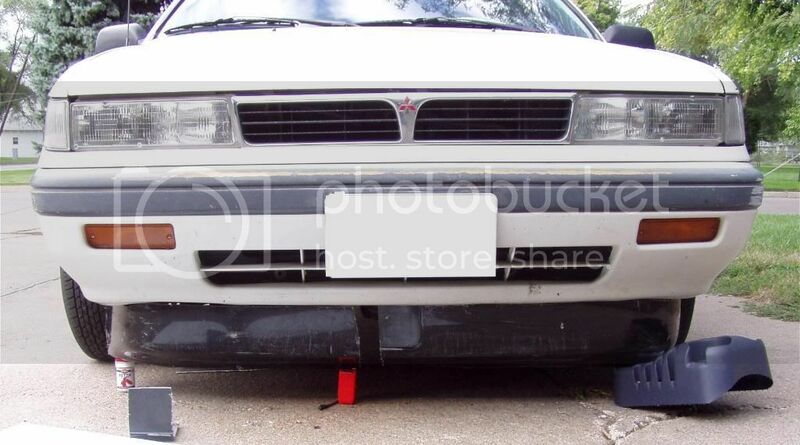 So I cut off the bottom half of the bumper. 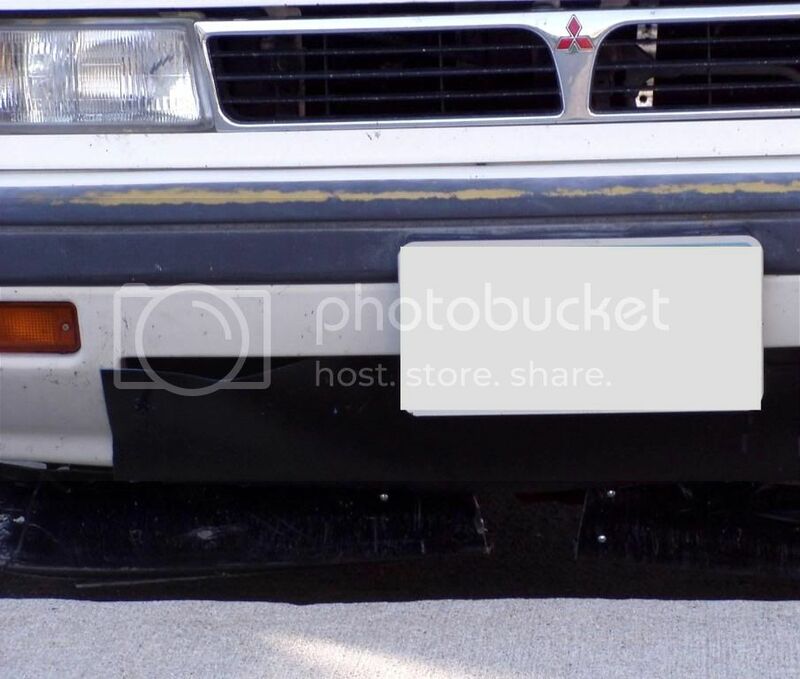 I used the top half of the bumper, this is the portion that curved up towards the headlights and grill If that gives you an idea of what I used. The bumper was to wide. so I cut it just to the left and right of the license plate mounting point. This left a gap in the middle that is about 5" wide. I filled this gap in with a piece of plastic sled so I have something that will give if I hit any road debris so I won't damage the whole air dam. 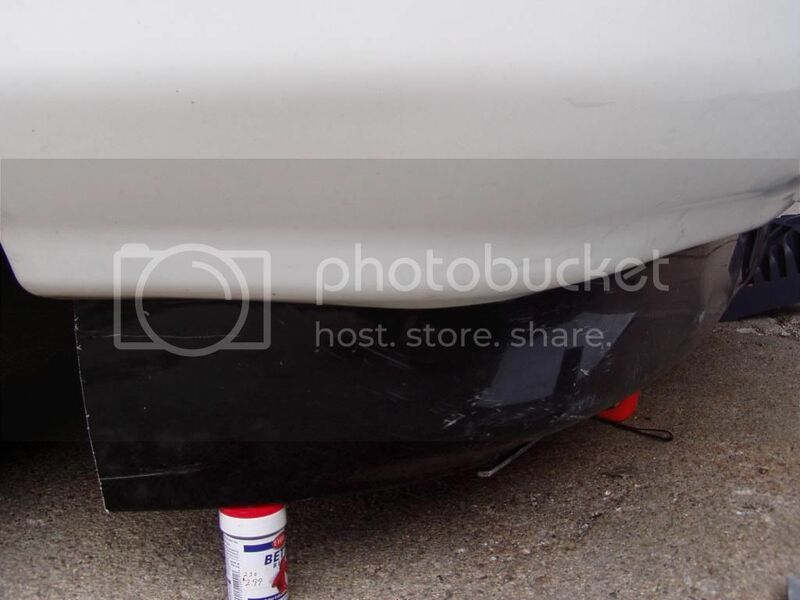 I also had to shorten the dam in the back sides by about 5" It lines up perfectly with the back of the fender. 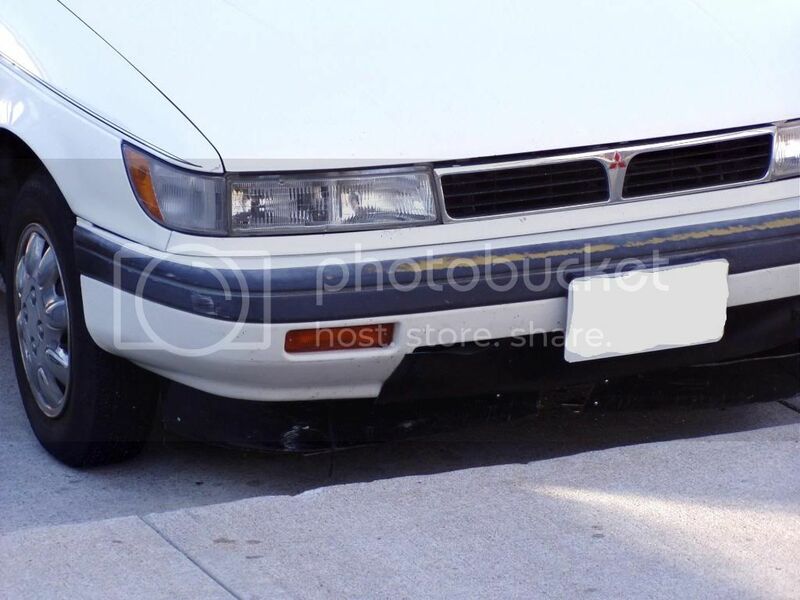 What was the upper drivers side of the SE-R bumper is now the passenger side of the air dam and vise versa. I flipped these sections upside down. The straight edge I cut fits perfectly to the curve of the bottom of the mirage bumper. Now what was the curve towards the top to the headlights of the SE-R bumper now curves down under the car. This gives me a mounting point for a belly pan. I used doubled up plumbers strap as supports. This gives plenty of strength while giving it some give over dips. Sides are attaches were the factory bumper bolts infront of the wheels then has 2 bolts through the air dam. 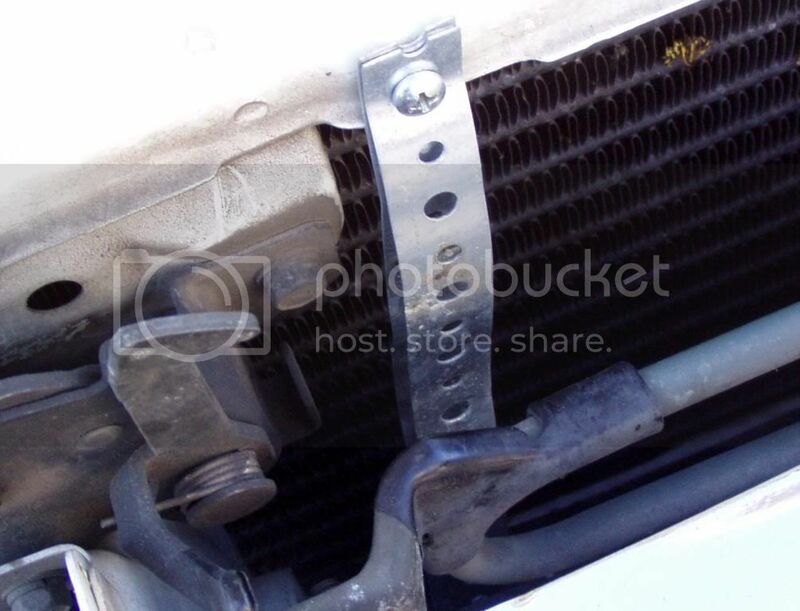 Centers have two bolts through the air dam and the plumbers strap is attached up to the radiator support. Its hard to see but I only have 2" of ground clearance. It scrapes alot and its really loud when it does. I've bent it back once already but because of the plumbers strap I just pulled it forward again and it fits snug. I'm excited to see what this does for my fuel economy. Nice job. I wouldnt have thought of using a kids sled. There are usually plenty of free ones in the spring cleanup piles. Your airdam makes me think of mine. After installing it, then taking it off for awhile, then putting it back on, it seems to give me a 1-2 mpg. I blocked the upper grille instead of the lower one. Id like to see how your setup works out. It seems to EOC further now. Theres a stretch on my drive to work that has a 30mph speed limit. I could coast bout 3 blocks to a stop sign and would roll to a stop by the time I got to the stop sign. Now at that same point I'm still rolling at about 15mph and have to apply the brakes. Now at that same point I'm still rolling at about 15mph and have to apply the brakes. the nicest part about these parts is that theres alot of black on this car so they really don't stick out at all.